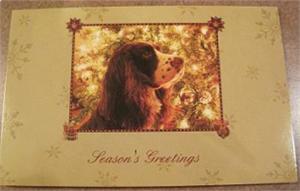 Set of 10 Holiday cards. Cards measure 4 3/4 x 7 1/4. Inside says, "Warmest thoughts and best wishes for a wonderful holiday and a Very Happy New Year."